Roxy Music's, "Cry Cry Cry"
'fading out your hologram' - that implies a future development. Well, we now have hologram entertainment, people paying to see holograms of Elvis Presley, Michael Jackson, Tupac Shakur and other dead celebrities. Also, since this song is from 1979, this also indicates that maybe Bryan Ferry & Co. saw the phenomenal movie STAR WARS which came out in 1977 and in the cinemas until 1979. Of course, that flick features hologram messages from Princess Leah smuggled and stored on the R2D2 droid. A little bit of entertainment history for ya! 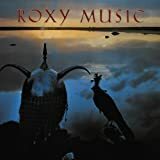 Roxy Music and other acts ignited the punk rock/new wave/alternative/indy revolution during their "glam" days and after. When this song came out it was 1979, the revolution had practically set in since there were now a whole "wave" of bands just starting out or soon to come that were inspired by Roxy in some ways like Duran Duran, ABC, Spandau Ballet, Adam and the Ants, the Cure, and more. Even some 'power pop' bands like Cheap Trick were influenced, and even the 'glam metal' bands like Def Leppard were influenced by Roxy. IOW, the revolution Roxy Music helped inspired was already HERE and would greatly influence rock in the Eighties.